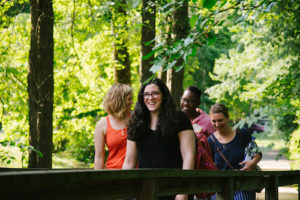 Our Waldorf Teacher Education faculty are experienced professionals and leaders in Waldorf Education and related fields. They include master Waldorf teachers and mentors, accomplished artists and musicians, Waldorf school founders, published authors of books and articles on Waldorf Education, and sought-after speakers on Waldorf Education and related topics. Jana began teaching in Sunbridge’s Elementary Teacher Education program in 2002 and has been program director since 2009; she also directs our Elementary Music Teacher Education intensive and oversees our World Language Teacher Education intensive. Since 2006, Jana has been on the faculty of Green Meadow Waldorf School, where she has been a class teacher, music teacher, member of the Teacher Development Committee, and Lower School chair; she currently teaches music and singing in Green Meadow’s Lower School and serves as co-chair of the Festival Committee. 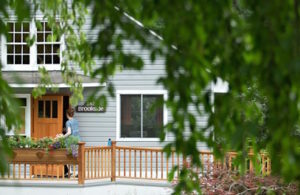 Previously, she spent 14 years on the faculty of the Whidbey Island Waldorf School, teaching music and main lessons. George grew up in Pennsylvania, attending Kimberton Waldorf School for all twelve grades. In 1986 he helped launch the Cape Ann Waldorf School on Boston’s North Shore (now the Waldorf School at Moraine Farm), and took the lead class through from kindergarten through eighth grade. Completing twenty years at the school after taking two further classes, George currently works supporting children in therapeutic foster care, and adults in shared living. A graduate of Wesleyan University, and a member of the Sunbridge faculty since 2002, he lives with his wife and two children in Gloucester, MA. Favorite ratio: φ.
Steve is co-founder and faculty chair at the Berkshire Waldorf High School, where he teaches history and art. He is also a former teacher and administrator at the Great Barrington Rudolf Steiner School and the Waldorf School of Garden City, the high school from which he graduated. Steve has taught history of education at Teachers College, Columbia University, and human development at the City University of New York; is the former editor of the Research Bulletin of the Research Institute for Waldorf Education; and writes, lectures, mentors teachers, and consults with Waldorf schools on teaching and administration. 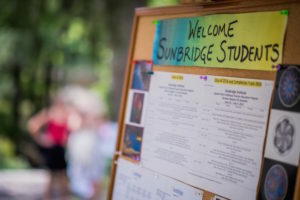 He is the author of The History of Waldorf Education in the United States: Past, Present and Future and has been teaching at Sunbridge since 2000. Steve has a PhD in history from the Graduate School of Arts and Sciences, Columbia University, and a bachelor’s degree in art history, with a certificate of proficiency in fine art, from Princeton University. An independent working eurythmist, Brigida was born and educated in Europe, where she began her career. She has taught eurythmy in Waldorf schools in Europe, the U.S., South Africa, and Russia. She currently teaches on the East Coast where she also performs, both as a soloist and with a eurythmy ensemble. Brigida earned Diplomas in Eurythmy and Eurythmy Therapy at the Goetheanum in Dornach and a Certificate in Pedagogical Eurythmy at Stuttgart Waldorf Teacher Training. Following a 30-year career at Green Meadow Waldorf School as a class teacher (1986-1991) and as Director of Physical Education and Athletics (1991-2016), Will is broadening the spectrum of his work in movement education to meet the growing needs of our time. His current endeavors include bringing Spacial Dynamics® movement to complement adult education at Sunbridge as well as at the Fiber Craft Studio’s Applied Arts program, “Uncovering the Voice” (Werbec singing/voice training), and the Christian Community Seminary, among others. He also works with individual clients in movement therapy, is a teacher and movement therapist at the Otto Specht School in Chestnut Ridge, NY, and is a long-time contributor to the trainings at the Spacial Dynamics Institute. As a professional movement educator, Will brings his skills in mentoring and consulting to help developing teachers in Waldorf schools worldwide. He received his Foundation Year education and teacher training at Rudolf Steiner College. Liz is the sixth grade teacher at Green Meadow Waldorf School where she has been a class teacher since 2006 and is a member of the school’s Collegium and the Teacher Development Committee. Prior to joining the Green Meadow faculty, she was a class teacher and lower school chair at the Waldorf School of Baltimore. Liz is a longtime member of the Sunbridge Elementary faculty and also teaches anthrosophical studies in our Early Childhood program. She holds a BA from Earlham College, where she double-majored in English and Spanish and minored in Art History; an MA in Education and Waldorf Certificate 1-8 from Antioch New England Graduate School; NH certification 1-6; and a Certificate of Curative Education from Camphill Special Schools, Inc.
Mary Lynn is the lower school handwork teacher at NYC’s Rudolf Steiner School, where she has been a member of the faculty since 2009 and sits on the College of Teachers. Prior to that, she taught handwork for several years at Green Meadow Waldorf School. Mary Lynn has also taught handwork workshops for the Fiber Craft Studio and at AWSNA conferences. She holds a certificate in Applied Arts from Sunbridge College. Jennifer is a singer, eurythmist, and speech artist. She currently teaches the art of speech (also known as “Speech Formation” or “Creative Speech”) in the Eurythmy Spring Valley School of Eurythmy and in part-time programs at Threefold Educational Foundation. She also performs with the Eurythmy Spring Valley Ensemble. A leading figure in the Camphill movement, Adola co-founded the Ita Wegman Association and Glenora Farm Camphill Community in Vancouver, British Columbia, in 1984; she remains a curative teacher there today. Adola was educated at Amsterdams Lyceum, Institution Sevigne, and Camphill Seminar. Mac has been the director of the Pfeiffer Center since 2007. He has farmed and gardened biodynamically for more than thirty years, working with the land on every scale from hand work to field-scale vegetables, tending an orchard to managing dairy cows. He was the resident farmer at the Fellowship Community’s Duryea Farm from 1997 until 2005 and a co-worker at the Camphill Village in Copake, NY, from 1972 to 1974, where he did therapeutic community work and also taught nature and games at the fledgling Waldorf school there. As a co-worker in the Fellowship Community beginning in 1975, learning biodynamic methods directly from former co-workers of Ehrenfried Pfeiffer, Mac helped start the third grade farming block at Green Meadow Waldorf School and taught that block for 15 years; he also helped initiate the Pfeiffer Center’s public school outreach program, The Outdoor Lesson. Mac graduated from Dickinson College in Pennsylvania with a degree in psychology. Tommi is a middle school block teacher at Whidbey Island Waldorf School, where she taught as a grades teacher between 1997 and 2007. She is also on the faculty at Sound Circle Teacher Training and formerly directed Waldorf teacher training in China. She travels widely, teaching main lesson blocks, mentoring teachers, and stepping in as a long-term substitute. Tommi studied at the University of Washington where she received a BA in English, a Washington State teaching certificate, and an MAEd; she also attended Waldorf teacher training at Rudolf Steiner College. Michael has been a member of the faculty of Green Meadow Waldorf School since 1989. He currently teaches woodwork to Green Meadow grades 6, 7, and 8, and blacksmithing to grade 9, as well as serving on the school’s Collegium. Michael studied at the University of Maryland and Wayne State University, received a degree in theater, and was a professional singer for many years.